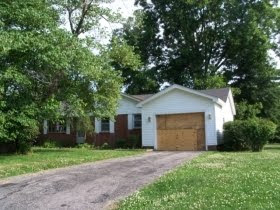 Hud just listed with a Memphis company a foreclosure at 1101 Ridgeway Street. This is a pretty good area and I own the house next door. This house was part of an estate and was previously listed for $68,500. This foreclosure is listed for $40,000. Currently Hud has this house in the lightning round which means that another government entity can purchase it. That expires tonight at midnight. Then, Hud may possible make it open to teachers, policemen, firemen, etc. but in my opinion since the area is so good they will make it available to any owner/occupant. Investors bids will not be opened until we get past 10 days of owner/occupant bidding. Now would be a fantastic time to call me to look and be ready to submit a bid. as I have said many times in the past, 92% of list price is usually what will purchase a Dyersburg HUD foreclosure. That amount is $36,800. Call me at 713-589-7841 to get in to look at this house.